Programs Used: Autodesk Maya 2008, ZBrush 3.1, Adobe Photoshop CS2. 512x 512 color map, one for each colour flower. 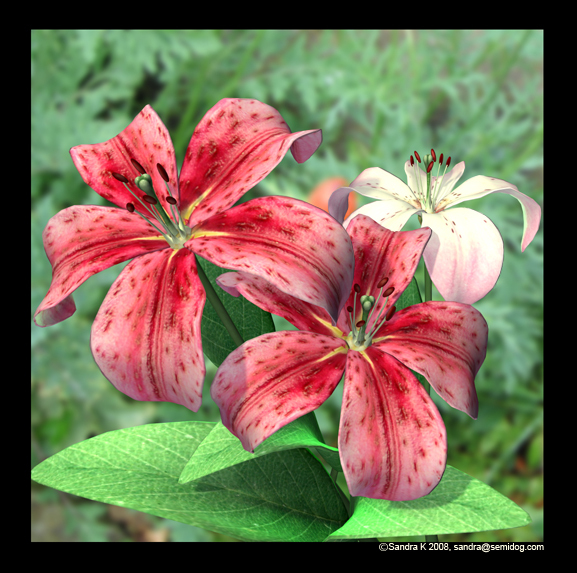 Comment: High poly flower based off pictures of lilies, made over the course of an evening.